According to Toronto Mayor Rob Ford, "The City of Toronto has a website that makes it easier for motorists to find their way around City streets. The site, shows on-going and emergency road construction, existing travel conditions on City roads and a variety of special events taking place. The goal is to help residents and visitors get around the city as easily as possible. By making this site one of your favourites and checking it before you leave home, you can find the best route for where you want to go. 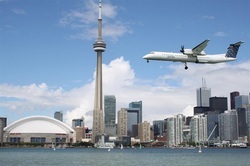 Of course, Toronto is known for its wide range of special events and community activities and using this website will help you get to these locations more easily. If you are trying to get somewhere else, however, we can also help you steer clear of busy areas in the city so that you can get to your destination, hassle free. The City is also offering those interested the opportunity to receive e-mail information about emergency road closures as they happen." To subscribe to receive these updates, visit www.toronto.ca/e-updates.